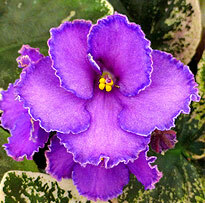 This is for the Violet Lover, a 3 Month Membership to the Violet of the Month Club. 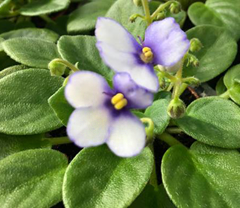 Imagine receiving 3 beautiful and specially selected 4 inch Optimara violets three times for a great collection of 9 unique and performing plants. Great gift idea! We will send a gift card, if it is too cold to send the first shipment before Christmas! Please note that the listed price is for all 3 months including shipping and handling. This is for the Eastern Time and Central Time zone only. If you wish to continue, renew immediately without a gap in order to avoid getting duplicates. 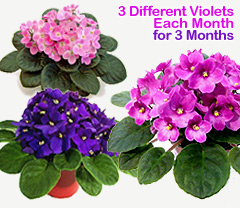 Members who fulfill 12 months will receive three extra plants with their last shipment! If you want to sign up directly for more than 3 months, you may select this item up to a quantity of 4 for the full year. 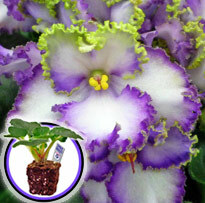 I have received 2 months of african violets. 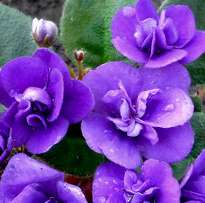 They are so healthy and such nice size plants. They are also packed so that they arrive un-damaged. 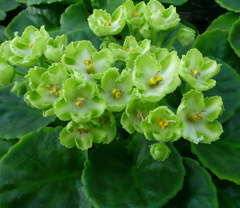 I would recommend Selective Gardener to everyone.